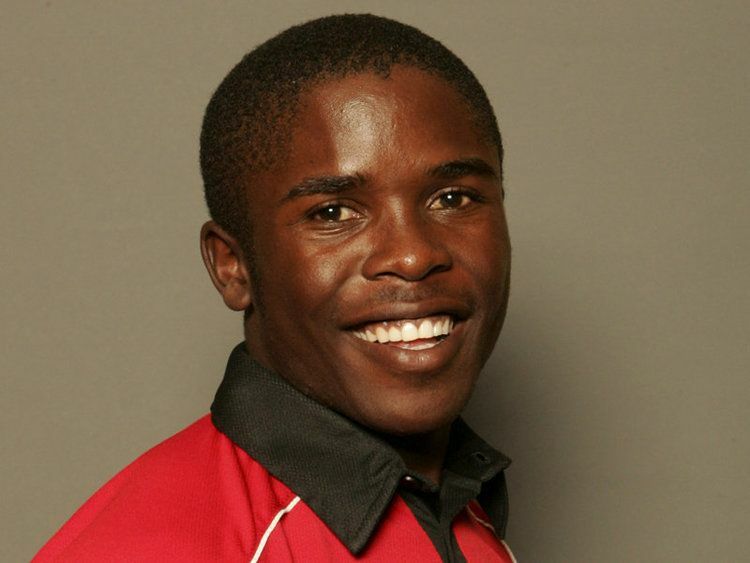 Stuart Matsikenyeri (born 3 May 1983) is a Zimbabwean cricketer. He is a right-handed batsman and usually opens the batting for Zimbabwe. Matsikenyeri also bowls part-time right-arm off-break and is a sharp fielder in the gully. Matsikenyeri was a promising junior player and he represented Zimbabwe at U-16 and U-19 levels. It was thus no surprise when he made his international debut against Pakistan in November 2002, opening the batting. He participated in the 2003 World Cup, although he only played in one game. Later in the year he played in the NatWest Series in England and he scored a crucial 44 at Trent Bridge as Zimbabwe pulled off an upset win. His strengths are on the cut and pull but he has at times struggled against high quality pace bowling in international cricket, often getting out to loose shots. In 2006 he spend time out of the side after refusing to sign a new contract with the board. He returned however and went on to bring up his 1000th ODI run for Zimbabwe in early 2007, becoming one of only 4 players in the 2007 World Cup squad to have done so. Included in the 2007 World Cup squad, he is the only remaining member of the 2003 World Cup Zimbabwe squad.